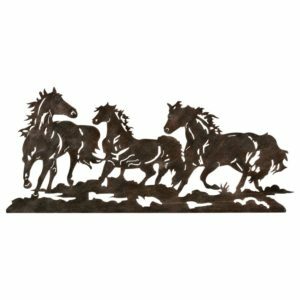 When selecting wall art for your home, decorative metal art is often an excellent choice. 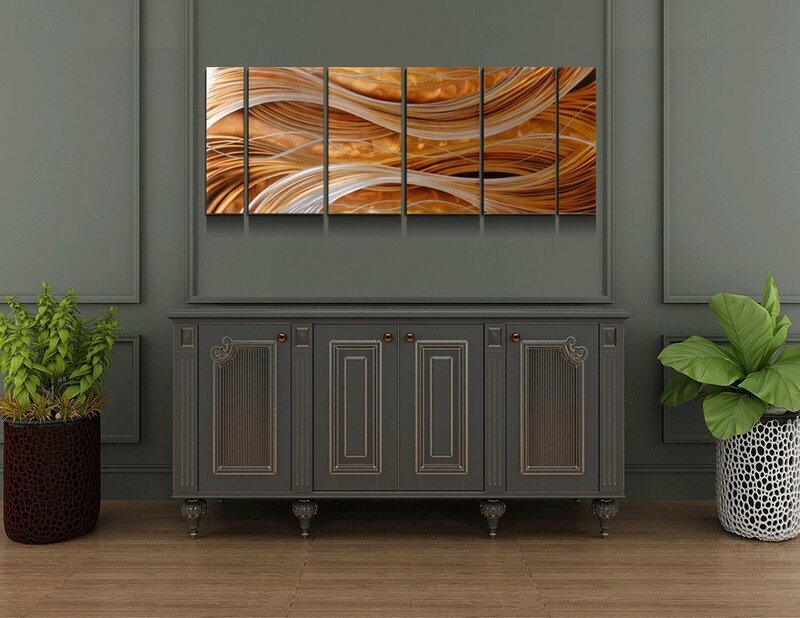 These beautiful pieces of art come in a wide variety of styles and subjects, and can be used very effectively to create a focal point within any room of your home. Whether your decorating style leans more towards traditional designs, or you prefer modern decor, you will be able to find a piece of decorative metal art that will blend in perfectly. You can set an overall theme for your room or patio area, simply by starting with the inspiration of a piece of wall art. 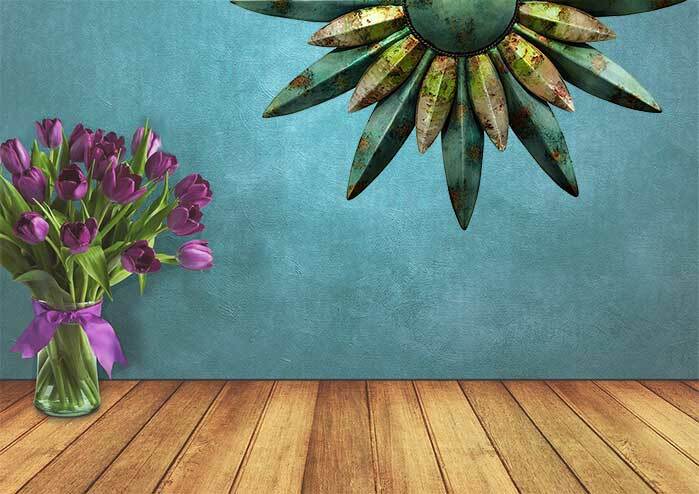 For example, if you would like to create a specific look, be it contemporary, rustic, or SouthWestern, choosing different pieces of metal wall decor that follow that same theme can help you create a cohesive look. Here are just a few of those themes. 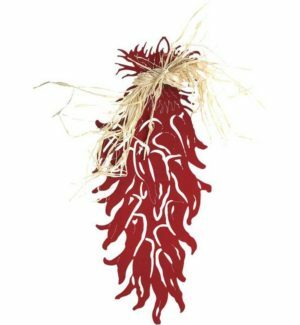 For that desert theme, choosing a wonderful piece of Southwestern metal wall decor will do just the trick. 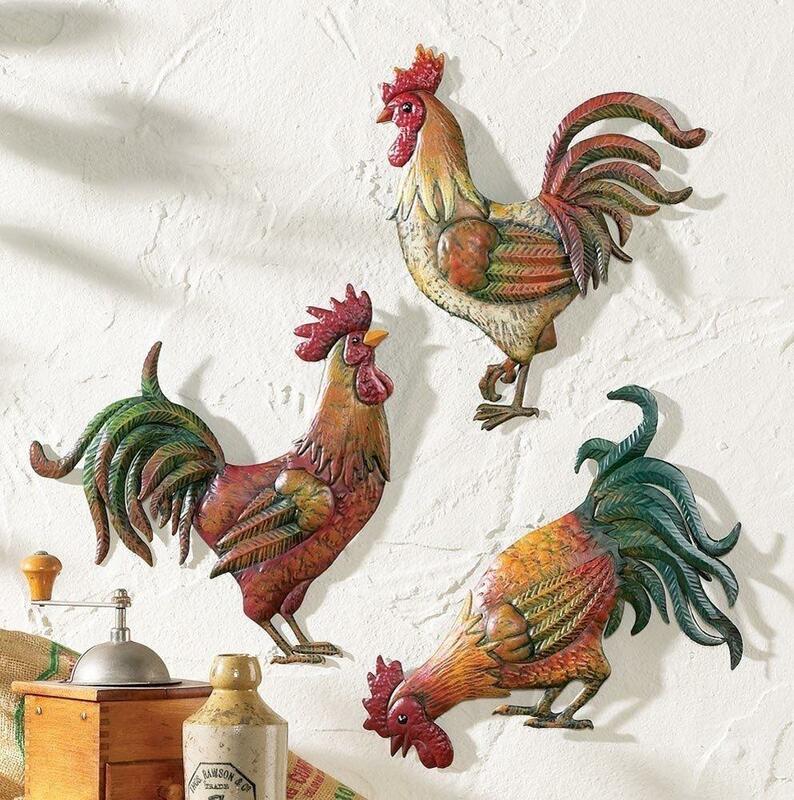 You’ll see a lot of turquoise, aqua, green colors used as well as warm reds, oranges, and yellows in many Southwestern metal wall decor pieces. 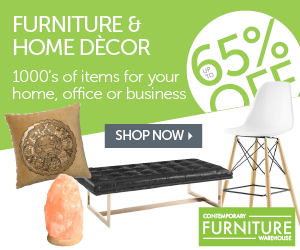 Themes within this category range from desertscapes, to cacti, to the delightful gecko. 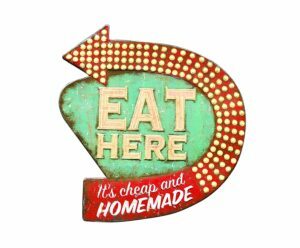 For a rustic look, perfect for any country home, cabin, or lodge, select a piece of Rustic metal wall decor. These pieces focus around animals & nature, as well as quaint farmhouse motifs. 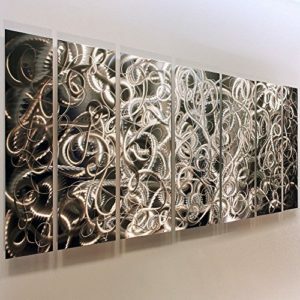 For the modern home, Contemporary metal wall decor is usually more appropriate. The sky is the limit within this category from a theme perspective, but they often employ a bolder use of lines and colors. With most pieces of metal wall decor (and I say “most” because not every single piece is suitable for outdoor placement). Therefore, you can decorate an outdoor patio with any of the themes (and more) noted above, depending on your personal decor style. It is important to note, however, that any piece of decor that is exposed to the elements will naturally weather over time. Maintaining your metal wall decor regularly, for example providing a fresh coat of clear, weatherproof lacquer, will help you maintain the original design and colors of the piece for as long as possible. Beautiful panels and decorations made from wrought iron are also a good way to incorporate metal art into your home and patio areas. 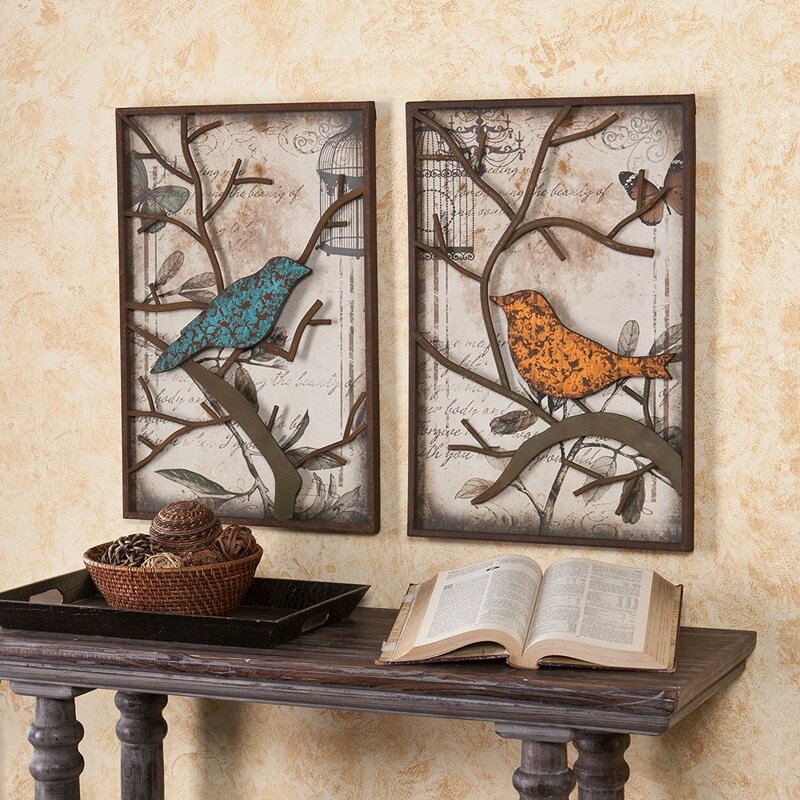 These types of pieces make stunning wall displays, and can be used individually or in groups. These decorative pieces can also be used effectively in garden areas, perhaps as a backdrop for plants, or even to serve as a trellis for vines. Depending on your preferences, you can choose between simple patterns, or those which are more ornate and decorative. In addition to panels, you could also choose decorative wrought iron squares designed in ornate patterns, either displayed as a single piece, or even as a collection for added visual emphasis. 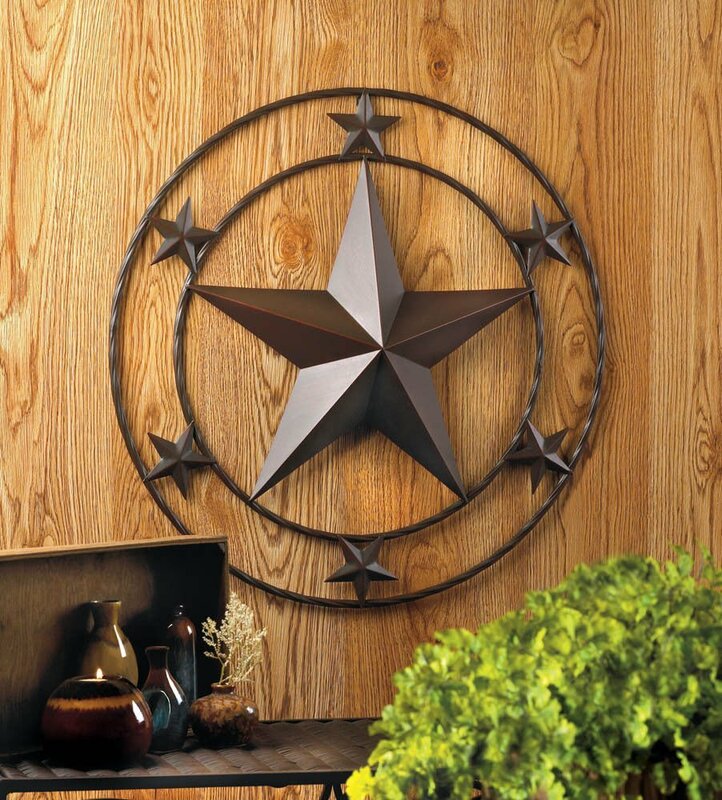 Metal wall decor can often be used to set a country or rustic theme to a room. However, it can also be used effectively in rooms which are decorated in a contemporary or modern fashion. Metal can take on so many different forms that, depending on the technique used and the finish of the metal, it can look either quaint and rustic, or sleekly modern. Plain geometric shapes, such as a star or a panel with free-form geometric shapes can be used quite effectively in many different settings. You will find that once you start decorating with metal wall decor, there is just no end to the different effects which you can create.